Red, white, rosé…we love them all! 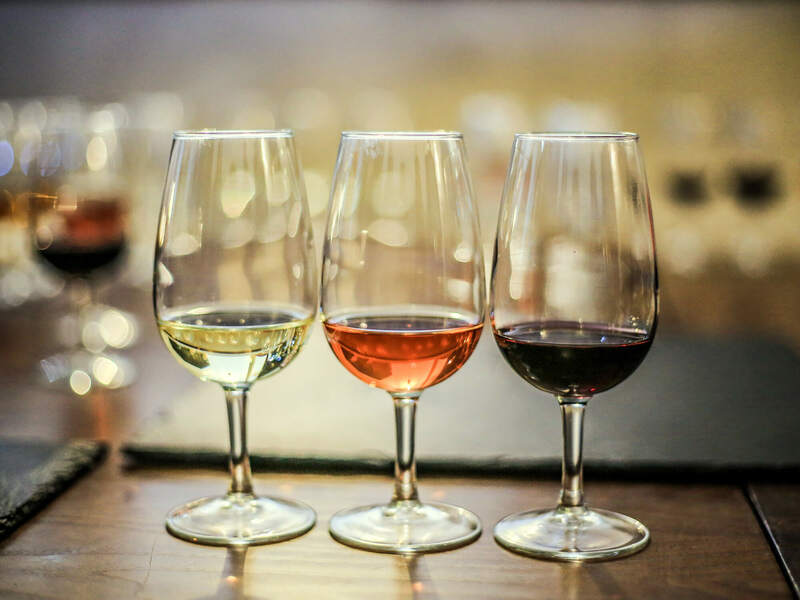 But what are the real differences between these three styles of wine? And what about orange wine? It’s actually quite fascinating, so read on to get the scoop! Did you know that nearly all grapes produce a white juice? It’s the skin, seeds and fermentation method that give a wine its color. But of course, a wine is much more than its color, and here’s how each differs. As mentioned above, a white wine does not necessarily have to come from white and green grapes, though they generally do. The essence of a white wine comes from fermenting just the juice, the skins and seeds removed shortly after pressing. Though there is no standard profile for a white, we can often expect wines with sharp acidity and overall freshness. They tend to be fruity and floral, less complex and structured than their red counterparts. Most whites are fermented in stainless steel tanks and undergo little to no aging. In general, white wines are meant to drink shortly after you buy them, at their best a year or two after harvested. Though, of course there are exceptions. Varieties like Chardonnay can really benefit from oak and aging. And winemakers love to experiment, so anything is possible. What are some of the world’s most popular whites? Chardonnay, Sauvignon Blanc, Riesling, Pinot Grigio…White wines generally pair well with fresher dishes, seafood seemingly always a good option. Though a white wine can be made from red or black grapes, a red cannot be made from a white or green grape. Red wines rely on the grapes’ skins and seeds for coloring and structure. Again, there are no standards, only common practices. Red wines ferment with their skins and seeds for days up to weeks, generally in bins or stainless steel tanks. This contact extracts color and tannin before aging provides further complexity and differentiation from white wines. Depending on how thick the grapes’ skins are will determine where the red ends up on a scale from light to robust. Thin-skinned grapes like Pinot Noir and Garnache will produce lighter-bodied wines with less color intensity, while thick skins produce deep, bold wines, such as the case in Cabernet Sauvignon and Syrah for example. If a winemaker’s looking for fresher, fruit-forward reds, they will generally age the wine in stainless steel tanks; used barrels can also keep the fruit as the star while adding a hint of secondary aromas and flavors. The aging duration will depend upon many factors, including quality, variety and even commercial necessities. Some of the world’s most popular reds? Cabernet Sauvignon, Merlot, Pinot Noir, and blends of countless possibilities. They can generally stand up to heartier dishes with meats, spices and sauces. And then there’s rosé. Yes way. Like reds, rosé wines can only be made from red or black grapes. The difference however, is the time that the juice remains in contact with the skins and seeds. Some rosé wines only remain in contact for a few short hours before removing the skins and seeds. The longer the contact, the deeper the color. They rarely see oak. Like whites, rosé wines are fresher, fruitier and have a marked acidity. They have a reputation for being a summer drink, but we like them at any time of the year, as an aperitif perhaps or served with something light and fresh food-wise. Lastly, we have orange wines, which have become quite trendy in recent years. Though this winemaking practice is far from new, it’s experiencing a bit of a revival. Orange wines are made from white or green grapes, but fermented with the seeds and skins like a red wine. This extended contact provides an orange hue and tannins. These wines vary quite a bit, but are always fun to try. There are so many wine options out there! Knowing how to differentiate something as basic as color will help guide you when pairing with food, as well as provide a better idea of the winemaking process. As we always recommend, try as many as possible, but be sure to savor each glass. 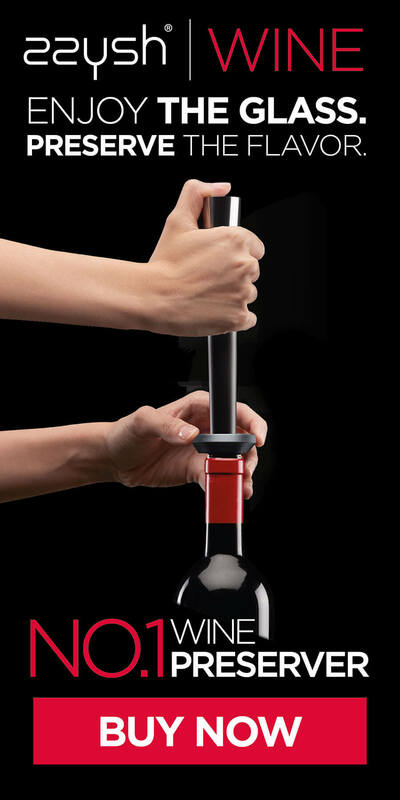 With zzysh®, you can go at your own pace and experience white, orange, rosé and red wines like never before! Please click below to find out more. A little treat or a big party: bottle sizes and their flavour!